Voted Best Sushi in St. Louis, Drunken Fish is the perfect place to enjoy a paramount dining experience. The selection of sensational sushi and exquisite Japanese cuisine will satisfy every appetite, while our extensive drink menu boasts an eclectic list of signature martinis and exotic cocktails. There are 14 mouthwatering signature rolls that are unique to Drunken Fish, 20 different kinds of fish and seafood on the menu, and 19 unique signature cocktails and martinis. 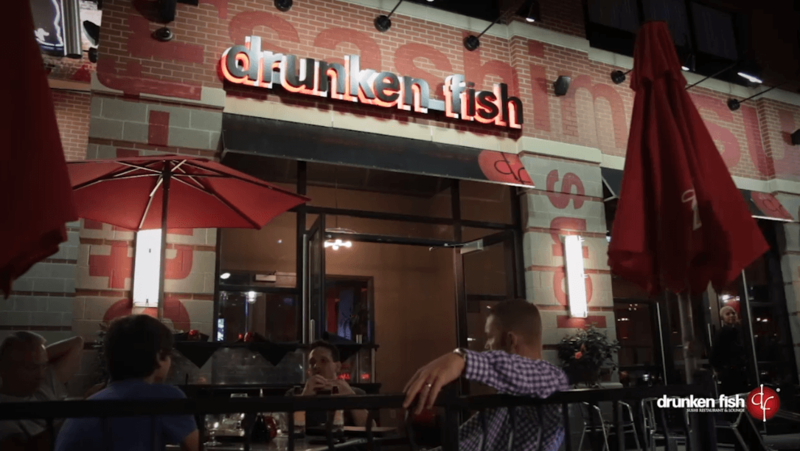 With vibrant modern décor, Drunken Fish creates a plush and comfortable setting to grab dinner and drinks with your significant other or a group of friends. With three locations in Saint Louis and expansion into Kansas City, our team remains committed to providing every guest with an extraordinary dining experience. AWARD-WINNING 1/2 PRICE HAPPY HOUR! Winner of the Riverfront Times' Reader's Choice Best Happy Hour and Favorite cocktail Selection, Drunken Fish is known for its great Happy Hour! Enjoy 26 food and drink items for half price Monday-Friday! Click here to check out our STL Happy Hour menu and times! Click here to check out our KC Happy Hour menu and times! We define the paramount dining experience through a culture comprised of empowered individuals with a shared vision for world-class Japanese cuisine and lifestyle.